Deadlines. In general, the copy deadline for each issue is the Friday 10 days in advance of the Monday cover date. The deadline for the Bulletin that covers Sept. 10-17 is Friday, Sept. 1. A complete publication schedule is available at www.princeton.edu / pr/ pwb/ deadlines.html or by calling (609) 258-3601. Princeton NJ — Eight faculty members were transferred to emeritus status in recent action by the Board of Trustees. They are: John Fleming, the Louis W. Fairchild ’24 Professor of English and Comparative Literature; John Gager, the William H. Danforth Professor of Religion; Wu-Chung Hsiang, professor of mathematics; Peter Chung-Yi Lee, professor of civil and environmental engineering; Toni Morrison, the Robert F. Goheen Professor in the Humanities; Theodore Rabb, professor of history; Joseph Taylor, the James S. McDonnell Distinguished University Professor of Physics; and Robert Tignor, the Rosengarten Professor of Modern and Contemporary History. All are effective July 1, 2006, except Tignor’s, which is effective Sept. 1, 2006. Fleming joined the English department in 1965, two years after earning his Ph.D. from Princeton. He graduated in 1958 from the University of the South, then studied for three years as a Rhodes Scholar at Oxford. From 1963 to 1965, he taught at the University of Wisconsin-Madison. His teaching and research focus on medieval English and European literature, medieval art history, and the history of Christian thought and spirituality. Since 1980, Fleming has taught the undergraduate survey course on Chaucer. Considered a rite of passage for English majors, the course has enrolled some 100 students each semester it is offered. He also has led freshman seminars and served as director of freshman seminar program. He was chair of the English department from 1981 to 1987. Twice a National Endowment for the Humanities senior fellow, Fleming has won two top Princeton awards: the Behrman Award for Distinguished Achievement in the Humanities and President’s Award for Distinguished Teaching. Fleming is also well known for his activities outside of the classroom. He has served as the University’s chief marshal, leading the academic procession at Commencement and calling the ceremony to order. 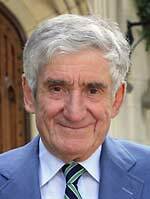 He is the longest-serving college master in Princeton history, having been master of Wilson College from 1969 to 1972 and from 1989 to 1997. At the invitation of Princeton undergraduates, he has written a column for The Daily Prince-tonian since 1996. He has served as a member of the executive committee of the Alumni Council as well as the Association of Princeton Graduate Alumni. He has spoken at numerous alumni events around the globe and has led several alumni education programs. In 2004, he won the Alumni Council Award for Service to Princeton. Gager came to Princeton in 1968 after teaching for a year at Haverford College. A graduate of Yale University, he earned his Ph.D. from Harvard. He teaches and conducts research on religions of the Roman Empire, especially early Christianity and its relations to ancient Judaism. He also has written on the theme of religion and magic. In “Kingdom and Community: The Social World of Early Christianity” (1975), Gager pioneered the introduction of insights from anthropology and sociology to the study of early Christianity. In his groundbreaking study, “The Origins of Anti-Semitism” (1983), and more recently in “Reinventing Paul” (2000), he prompted scholars to rethink the nature of anti-Semitism. Gager also has received both the Behrman Award for Distinguished Achievement in the Humanities and President’s Award for Distinguished Teaching. The chair of the religion department from 1980 to 1987 and in 1990-91, he served as master of Forbes College from 1992 to 2000. Gager also is an avid rock climber and has taught many students on the wall in the Armory. He has led students on backpacking, rafting and hiking trips through Outdoor Action. Hsiang (photo not available) earned his Ph.D. from Princeton in 1962 and returned to join the faculty in 1972. 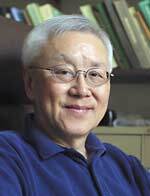 A graduate of National Taiwan University, he taught at Yale for 10 years, reaching the rank of professor in 1968. Hsiang is considered one of the most influential topologists of the second half of the 20th century. His research ranges over the entire area of the topology of high-dimensional manifolds. The chair of the mathematics department from 1982 to 1985, he has received many honors, including the Sloan and Guggenheim fellowships and visiting professorships at Stanford and the universities of California-Berkeley, Amsterdam and Bonn. He has been a member of the Institute for Advanced Study and of Academia Sinica, the national academy of the Republic of China. Lee joined what was then the Department of Civil and Geological Engineering in 1966. A graduate of National Cheng-Kung University in Taiwan, he earned a master’s degree in civil engineering from Rutgers University and a master’s degree in engineering mechanics from Columbia University. After completing his Sc.D. at Columbia, he spent a year at Princeton as an Alfred P. Sloan Fellow before joining the faculty. Lee’s teaching and research interests include: vibrations and waves in elastic solids, piezoelectric crystals and ceramics; effects of applied force, acceleration and temperature fields on changes of frequencies in acoustic resonators; and stress sensitivity of electromagnetic resonances in dielectric resonators. He has served the department as director of graduate studies on three different occasions, covering a total of seven years. Lee’s research on high-frequency vibrations has made him one of the country’s best-known experts in the field. For his contributions to the theory of vibrations in quartz crystal plates, he received the C.B. Sawyer Memorial Award from the Institute of Electrical and Electronics Engineers in 1980. Morrison came to Princeton in 1989. She earned a bachelor’s degree from Howard University and a master’s degree from Cornell University. She had been a senior editor at Random House for 20 years and also had held teaching posts at Yale, Bard College and Rutgers. The New York State Board of Regents had appointed her to the Albert Schweitzer Chair in the Humanities at the State University of New York-Albany in 1984, a position she held until 1989. In addition to Princeton’s Council of the Humanities, she has been associated with the faculty of the Program in Creative Writing. She was the founding director of the Princeton Atelier, which brings acclaimed artists together with students to create projects in a workshop environment. 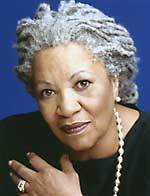 Morrison received the American Library Association’s 2005 Coretta Scott King Award for her book, “Remember: The Journey to School Integration,” her first historical work for young people. She also has co-written several children’s books with her son, Slade Morrison. In addition to enriching the field of literature, Morrison has created works with artists in other disciplines. She has collaborated with composer, conductor and pianist André Previn to create a work for Kathleen Battle; with composer Richard Danielpour on work for Jessye Norman; and on a performance piece with choreographer Bill T. Jones and drummer Max Roach. Rabb earned a Ph.D. from Princeton in 1961 and returned as a faculty member in 1967 after teaching at Stanford, Northwestern and Harvard. He earned bachelor’s and master’s degrees from Oxford University. A specialist in early modern European history, he has taught a variety of courses in the history department. 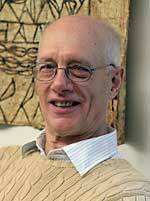 He also has taught in the interdisciplinary program of humanistic studies since the 1970s. In the 1990s, with the help of other faculty members, he created Humanities 216-219, a four-course freshman sequence on Western culture from Homer to Nietzsche. The editor of The Journal of Interdisciplinary History since 1970, Rabb also has written several books. “The Struggle for Stability in Early Modern Europe,” (1975) remains one of the most influential interpretations of the political and intellectual crises of the 16th and 17th centuries. His “Renaissance Lives” (1993) and “The Last Days of the Renaissance: And the March to Modernity” (2006) offer his broad-gauged vision of the origins of modern culture. He also served as the principal historical adviser for a five-part PBS series, “Renaissance,” which received an Emmy nomination. In addition, he has written dozens of reviews on books, exhibitions and performances for many publications, including The New York Times, The Times Literary Supplement, The Chronicle of Higher Education and Opera News. Rabb has been an officer of numerous organizations and has chaired the board of trustees of the National Council for History Education and the New Jersey Council of the Humanities. Since 1974, he has built bridges between Princeton and New Jersey’s community colleges. The Mid-Career Fellowship Program, which he has directed since 1977, gave more than 250 community college professors the opportunity to recharge their intellectual batteries, and the Community College Internship Program, which he ran from 1974 to 2001, enabled many Princeton graduate students to start their teaching careers at local community colleges. Taylor joined the Princeton faculty in 1980 after teaching for 12 years at the University of Massachusetts-Amherst. He earned his bachelor’s degree from Haverford College and his Ph.D. from Harvard University. A specialist in astrophysics, Taylor was named to the McDonnell chair in 1986. Taylor shared the Nobel Prize in physics in 1993 with Russell Hulse, principal research physicist at the Princeton Plasma Physics Laboratory, for their discovery of a unique twin star system known as a binary pulsar and its use to verify Einstein’s general theory of relativity. He also has received the Dannie Heineman Prize of the American Astronomical Society and American Institute of Physics, a MacArthur Fellowship and the Wolf Prize in Physics. 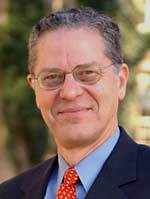 From 1997 to 2003, Taylor served as Princeton’s dean of the faculty and was recognized by President Tilghman at the end of his tenure for strengthening the University’s faculty. He is a member of the National Academy of Sciences and the American Philosophical Society and is a fellow of the American Academy of Arts and Sciences and the American Physical Society. 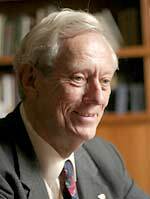 In 2001 he co-chaired a committee of the National Academy of Sciences that set priorities for space science for this decade. 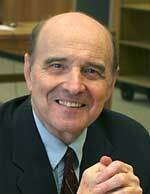 Tignor, a graduate of the College of Wooster, joined the Princeton faculty in 1960 after earning a Ph.D. from Yale. He has been closely involved in the history department’s efforts to expand its teaching and research beyond Europe and North America and introduced the first departmental courses in African and world history. He has conducted research on British colonialism and its aftermath, world history, and the modern histories of Egypt, Nigeria and Kenya. Tignor, who was named to the Rosengarten chair in 1995, also has been affiliated with the Program in Near Eastern Studies and the Program in African Studies. He chaired the history department from 1977 to 1988 and from 2001 to 2004, and he chaired the African studies program from 1970 to 1979. A prolific writer, Tignor is the author of several books on African history. In the mid-1990s, he began collaborating with six other scholars on a modern history book that emphasizes the connections between cultures, governments and regions. The result, “Worlds Together, Worlds Apart: A History of the Modern World,” was published in 2002. More recently, Tignor wrote a biography of his colleague, the late W. Arthur Lewis, who was the first person of African descent to win a Nobel Prize in a field other than literature or peace. “W. Arthur Lewis and the Birth of Development Economics” was published in 2005 by Princeton University Press.